Product prices and availability are accurate as of 2019-02-22 17:33:35 EST and are subject to change. Any price and availability information displayed on http://www.amazon.com/ at the time of purchase will apply to the purchase of this product. The Dorothy Fluorescent Lighting Collection, by Yosemite Home Decor, embodies the aesthetic preferences of Cosmopolitan artistry. 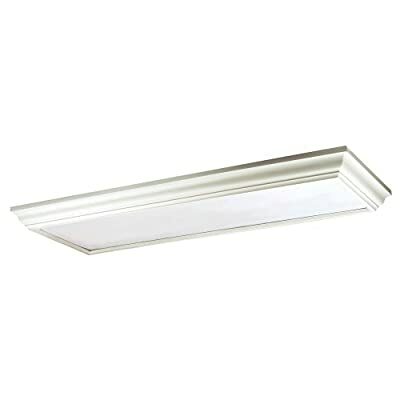 This model's White Frame blends in very well with 21st-century architectural design, while its four 32-Watt T8 fluorescent lights (not included) will provide energy-efficient illumination to your home. UL-approved, you can rest assured this model is safe for use. With its one-year warranty, we have this product covered during the first year.